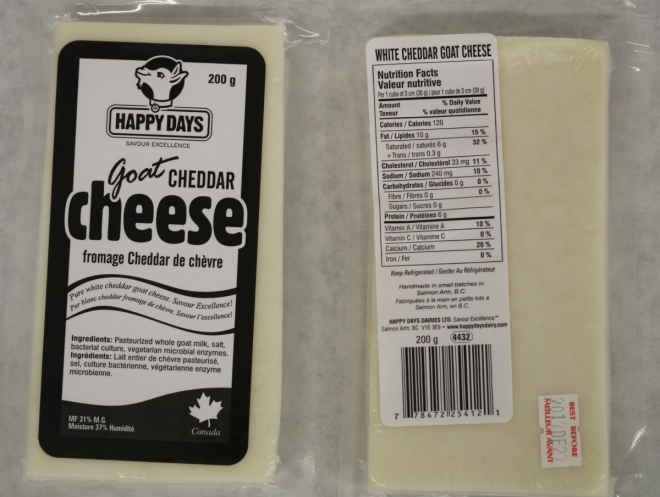 This cheese is a perfect alternative to cow dairy cheddar cheese that doesn't compromise on flavour. 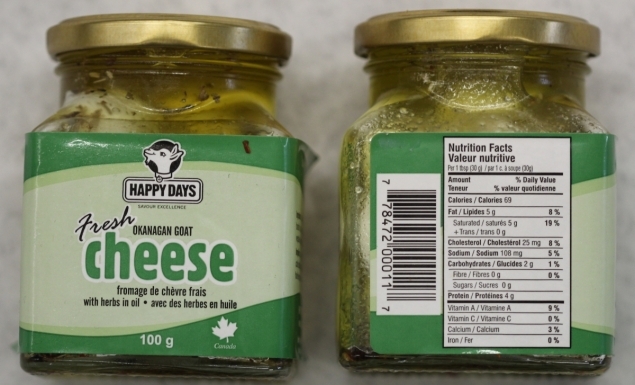 Good for all you cheddar cheese lovers out there who can't tolerate cow dairy! And even if you can, try it anyway because this is a yummy cheddar cheese with a light but distinct taste. 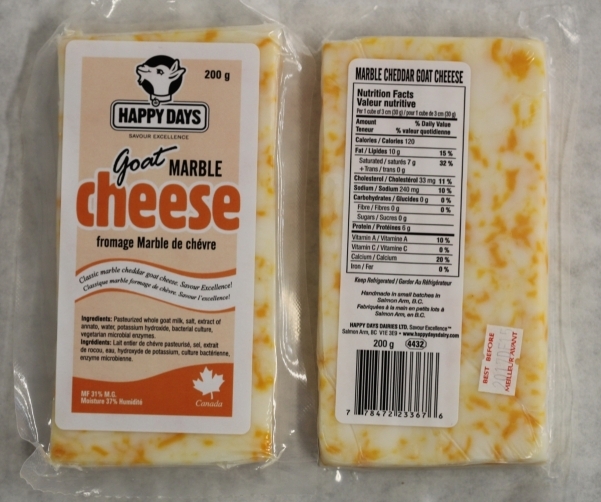 Marble Cheddar Goat Cheese Brick is light but distinct Cheddar cheese taste. 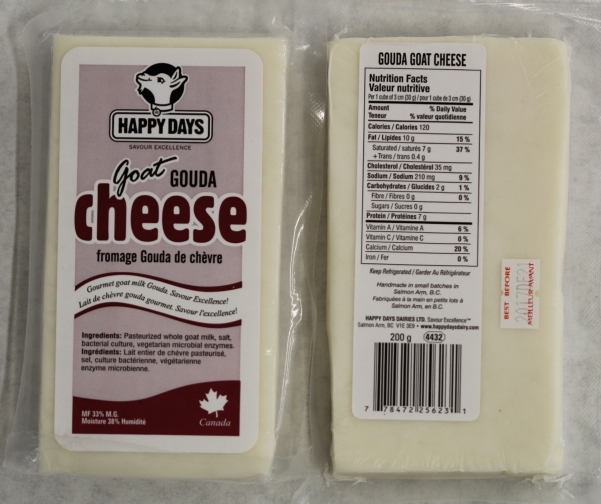 This classic goat cheese gouda is all natural with no hormones, antibiotics or additives and is made with 100% Canadian goat milk from happy goats. 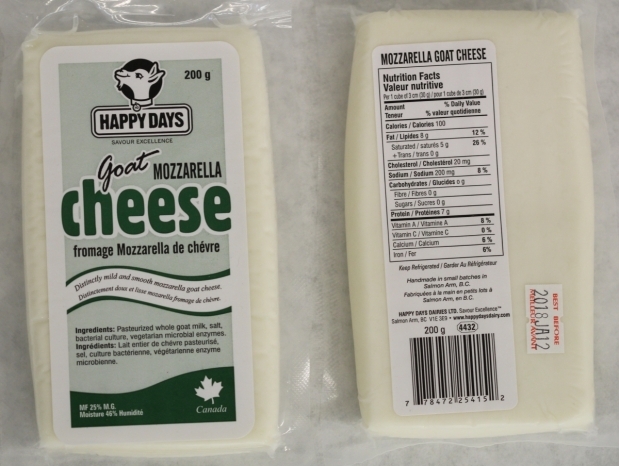 Happy Days Goat Milk Mozzarella Cheese makes a great choice for a cheese topping on your favourite pizza or bruschetta or why not use in your favourite Itallian dish or caprese salad. Scrumptious Soft Unripened Marinated Goat Cheese Balls, suspended in delicous herbs and oil. All natural, no hormones or antibiotics added. 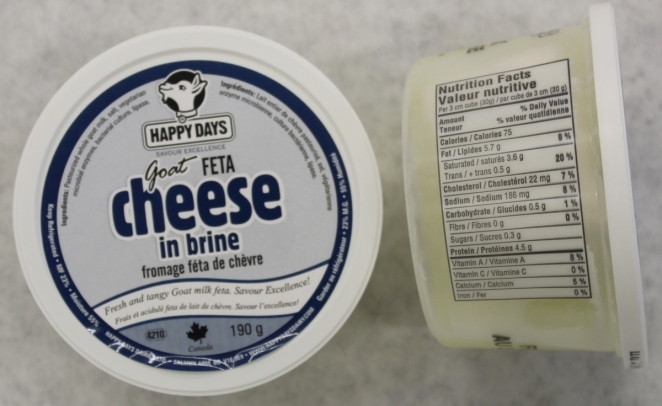 Fresh and tangy goat milk feta that has a pleasant acidity to balance the salty milkiness, lending the cheese to various uses in cooking.